The Green-GO InterfaceX links 2-wire or 4-wire analog intercom systems into the Green-GO digital Ethernet network. This audio in/out interface with contact closures connects to an existing matrix or other analog interfacing products. A 4-wire intercom can be connected to the dual in/out 3-pin XLR ports. 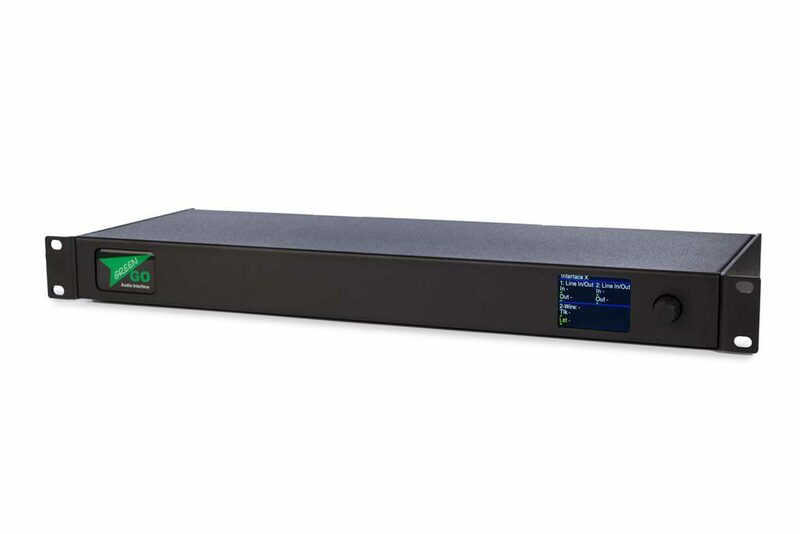 This allows two separate audio signals (or a stereo signal) to be injected into the Green-GO network and transmitted to any other location on the same Ethernet network. Next to the 4-wire connections, there is a separate 3-pin XLR port dedicated to connecting a basic analog 2-wire intercom (partyline system). All of the ports can be configured individually through the setup menu of the Green-GO InterfaceX. There are also two GPIO connectors provided on the back of the device.